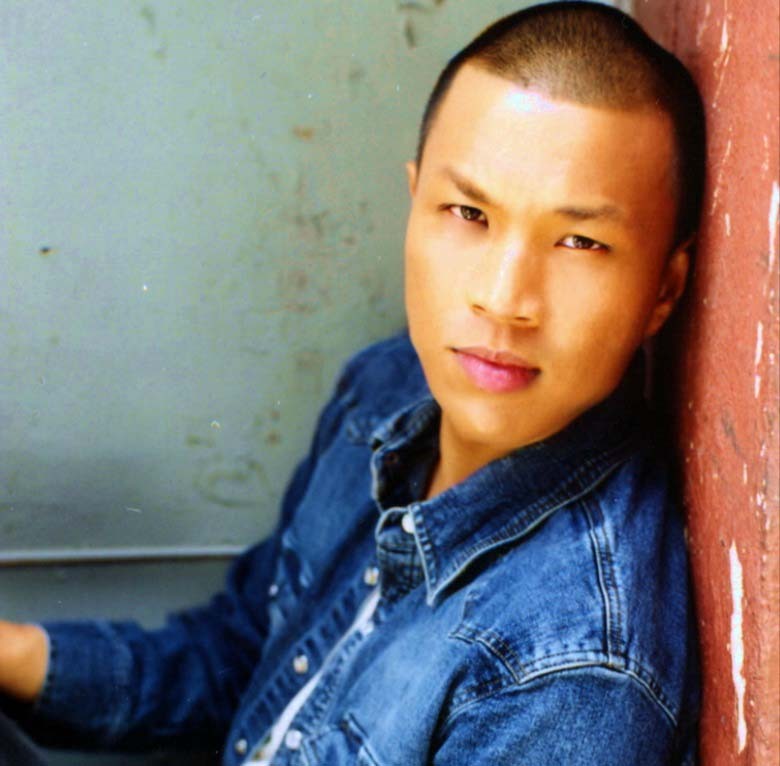 Jonathan Lee is a musician, actor and choreographer from Brooklyn, NY. He has lent his artistic talents to notable recording artists including, Britney Spears, Madonna, Mariah Carey, Pitbull and Joe. Additionally, Jonathan has established work in film/TV and theatre, plus appeared in numerous commercials. 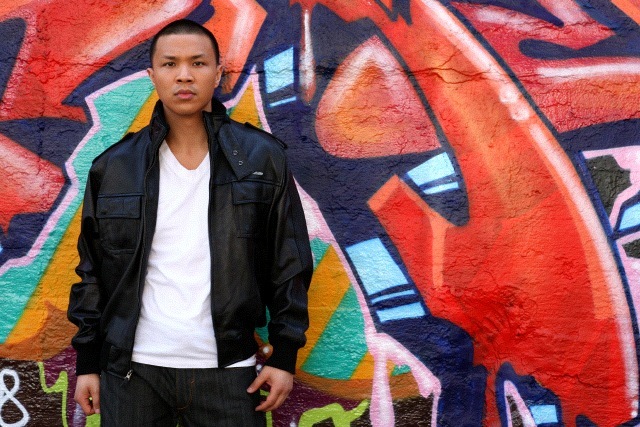 He currently teaches Hip-Hop at Ailey Extension as well as The Ailey School in New York City. Despite his list of impressive accomplishments, Jonathan is incredibly humble and down-to-earth. Jonathan and I work at the same dance organization so I was quite familiar with his Hip-Hop classes and workshops as it was very popular among students. Additionally (and randomly), we were also chosen to be on the same trivia team for a work event—our team name was 'Chocolate Banana'... don't ask. Sadly, I could never muster up the courage to take one of his classes due to my terrible rhythm and fear of making a complete fool out of myself. Nonetheless, it didn't stop me from approaching him for an interview because I wanted to learn more about his story and what sparked his deep passion for the arts, particularly dance. We met at Pret A Manger for a casual dinner before one of his rehearsals. He told tales of early Michael Jackson influences to his most embarrassing audition experience and shared advice and life lessons he's gained along the way. Tell me about what sparked your interest in dance? Jonathan: That's an easy answer. I saw Michael Jackson's video for Smooth Criminal and that did it for me. Anything he has done, I loved—in my eyes he can do no wrong. When he did that lean that was the end for me and I was like, "Oh my God, how did he do that??" I think that's also why I gravitate toward that style because it was really slick—the white suit and the hat. So, when I saw that I said that's exactly what I want to do; I wanted to sing and dance for the rest of my life. Seeing Gene Kelly and Frank Sinatra also sparked a huge interest in me. Jonathan: When I saw Smooth Criminal I was about 6 or 7. Not sure exactly when, but it was definitely before I was 8 because that's when I started dancing. I was in a program called The Eagle Program and there was a dance teacher who would come around once or twice a week from September through April to teach us dance. As I got older, I would see Michael Jackson performing in all these different countries, and when he did Black and White I was like oh my god, I'm him reincarnated! His music was unifying, and that's what I wanted to do; I wanted to bring people together through my craft. When you formed an interest music and dance did you tell your parents? Jonathan: No, because I didn't know you could take dance classes or do any of those things. I just watched music videos on MTV and VH1, and any time there was music on I would dance. Some of my brothers were also DJs, so I would always dance to the music and listen to different types. They DJ'd a lot of House, Freestyle, New Wave and eventually Hip Hop. The area I grew up in in Brooklyn had a lot of West Indian influences so I was surrounded by a lot of reggae as well. My mom was also born in Jamaica and we would go back to visit before my maternal grandparents transitioned so I grew up in that culture, too. Especially in New York City, I felt like there were a meld of different cultures thrown at me—I lived in a West Indian neighborhood but I went to school with a lot of Jewish and Italian people, and my best friends growing up were Puerto Rican. Having different types of cultures around me made me really curious and want to travel the world. Jonathan's parents immigrated to New York from Burma before he was born. He is the youngest of 10 children and was raised in Brooklyn, New York. His background resonated with me because I, too, was raised by immigrant parents. The idea of the 'American dream' is different because as children of immigrants we are expected to find careers that are safe and lucrative (i.e. doctor, lawyer, banker, etc.) The fact that Jonathan was able to build a career in the arts despite that expectation makes his story even more notable and provides insight for others who are of similar upbringing. Jonathan: (laughs) To be completely honest, no. Every kid that has parents who are immigrants wants their child to do something that's guaranteed and safe be it a doctor, lawyer, accountant, something that's definitely going to show results from all your education. Mind you, I had 9 older siblings so that pressure could have been on any of my older siblings, but it was all on me. They were like, "Yeah, he's gonna be the doctor." However, my parents said that I can do whatever I desire if my grades were good. So, I did really well in school, my grades were great, and after that I was able to do whatever I liked which was music, dance and acting. My first dance performance was to New Kids on the Block, Hangin' Tough. I said, "This is it!" I felt like it was right and this was what I was here to do. Perform. Create. Jonathan: So, I started at 8 and was in a program in elementary school called The Eagle Program. In second grade of that program, there was a dance teacher who would come around once or twice a week from September through April to teach us dance. My first dance performance was to New Kids on the Block, Hangin' Tough. I said, "This is it!" I felt like it was right and this was what I was here to do. Perform. Create. I really enjoy those things. I will never forget my second grade dance teacher, Ms. Narducci, wherever she is, she made a difference. From there, she recommended for me to go to Ailey where I ended up getting a scholarship. Jonathan had a really interesting educational path. After receiving a scholarship to attend the The Ailey School, he also received two other scholarships to Joffrey Ballet School and Brooklyn Conservatory of Music. In addition to those programs, Jonathan signed up for the Brooklyn College Dance Program, all in an attempt to find the right fit for what he wanted to do. The most surprising of all was when he attended Julliard to study Opera. You went to school for opera? Jonathan: Most people who know I sing don't know I dance and vice versa. Just like with dance, they say ballet is kind of the foundation, except for hip-hop. You don't really need ballet but you do need to know the fundamentals like b-boying, popping and locking, and the funk styles. So, I felt like if I wanted to be a really good singer, I needed foundation which I thought was Opera. Did you find that to be true? Jonathan: No, I did not have the best experience at Juilliard. So what did you do when you realized you didn't like it? Jonathan. I dropped out and got a job—knock on wood, every job that I've ever gotten has been in the arts. I got a job in musical theater. My agent at the time was like, "You sing, dance and act. Have you thought about doing Broadway?" And I was like I don't know, not really, but she told me to go on this audition anyway. So I went, got it and then I went on tour with Miss Saigon. What was a transformative moment in your journey? Jonathan: I found this youth organization that changed my life called City Kids Foundation. It wasn't just about the performing there, it was really about youth empowerment and making a difference in the world. City Kids was founded by this wonderful woman named Laurie Meadoff. When I joined, my friend Renee was already part of City Kids. I knew her through another friend of mine and she told me they were looking for singers and dancers and that I should audition. They were doing a show for the first Arthur Ashe Kids' Day because they had just built the first Arthur Ashe stadium in Queens, and we were going to be the first ones to perform on the tennis courts. I auditioned for the job as well as the repertory company and was accepted. The repertory company performed all over the country, and the pieces that we performed were about issues that affected young people which still affect young people today—police brutality, racism, LBGT issues, bullying, etc. All the material from songs to monologue and choreography were created by young people. It really helped nurture my craft and built something else in me because it allowed me to do more community outreach. To pursue a career in the entertainment/arts industry, it seems imperative to have agent represent you. How did you get your agent? Jonathan: So remember I told you about City Kids? There have been numerous people that are part of City Kids who are on TV and film like Malik Yoba (Empire, NY Undercover), who used to be Vice President of City Kids as well as one of the founding members, Isaiah Washington (Grey's Anatomy), and Jonah Faison (Clueless, Scrubs). Jonah's mother, Shelly Faison, was my former agent. Another great mentor/teacher of mine, who was the Artistic Director of City Kids at the time, Moises Belizario, introduced me to her. I still talk to her and I'm friends with Donald and her younger son so I see them all the time. Her agency is still around the corner from here so sometimes I'll drop by to say hi because they're like family. Before then, when I was a kid, I worked with Baylin Artists and the kids department was directed by Bonnie Schmulsky. I worked a lot with her doing a lot of commercials, and I was introduced to her through Robin and another woman named Rowena Husbands, who's a photographer, she actually did my head shots. So just being around New York City, I think, has been the benefit of starting this when I was really young. Jonathan also had the experience of working as a backup singer, dancer and choreographer for major recording artists such as Britney Spears, Madonna, Mariah Carey, Pitbull and many others. From the outside looking in, one would assume having these high-profile opportunities would be the holy grail of career achievements, however, such was not the case with Jonathan. While he was extremely grateful for those experiences, he had a desire to push pass those limits to explore other ways he could utilize his artistic gifts. I know you did some commercial work where you had the opportunity to tour with quite a few major recording artists. Can you tell me a little bit about that experience? Jonathan: Yeah, I've worked as a backup dancer and backup singer for a few recording artists. There's a documentary called 20 Feet from Stardom and it's the perfect example of how I always felt. For instance, when I was looking at Michael Jackson perform, I was looking at him and not necessarily the backup dancers or singers, but I've grown to have such great appreciation for them because I've done it. Working in this capacity taught me a lot and it was a great experience, but it wasn't the only thing I wanted to do for the rest of my life. Don't get me wrong, I'm grateful and it's been very lucrative, but I knew that I didn't want to do it long term. I just felt like I had more to say and I also wanted a chance to explore my creative side. What was your biggest struggle when you were figuring out your path? Jonathan: Trying to do it all at the same time. Like why couldn't I be a pop singer, a choreographer, an actor and a Broadway star all at the same time? You can have it all just not at the same time. There are some people whose careers I admire, one being Debbie Allen, because she has such a multifaceted career. She went from a dancer to an executive producer. I think if she tried to do all of it at the same time, it wouldn't have worked and I'm just realizing that now. You can do it all but you just have to focus on one thing at a time because if you don't it just seems like you're scattered. To you it might make sense in your own mind but to the rest of the world it just seems like you're all over the place. I attempted to sing the song three times, the first two times I forgot the words and after the third I was like, oh my god, it's finally over. I still remember that as being the worst audition I ever had. Can you share a professional embarrassing moment? Jonathan: I was auditioning for a show and they told me to sing a gospel song. I was like (sarcastically), "Oh great, that's right up my alley!" I attempted to sing His Eyes on the Sparrow—everybody knows His Eyes on the Sparrow. So, I go into the room, start singing and when I got to the part of the song where it's, "I sing because I'm happy, I sing because I'm free..." I completely forgot those words. Not once, but twice. I attempted to sing the song three times, the first two times I forgot the words and after the third I was like, oh my god, it's finally over. I still remember that as being the worst audition I ever had. I don't know what it is, but I have this thing where, and everyone who knows me, knows that I sing the lyrics wrong to every song—even my own songs. What has been your proudest creative moment? Jonathan: I know this is corny, but every day I wake up I'm proud. Every night before I go to bed, if I've completed everything on my check list for that day, I'm like yes, that was a great day! Yes, I enjoy all the accolades and all the performance opportunities, but I think I'm always the person to say what's next? I haven't really taken the time to enjoy the moment and I guess that's something to learn. Honestly, I don't know what my proudest moment is because it's like choosing a favorite kid. You fake it 'til you become it. Do it until you become confident. It's the acclamation of telling yourself: Yes, I can do it. Yes, I'm talented. Yes, I have what it takes. Everyone has insecurities, but I think a lot of artists are very sensitive and insecure about what they put out there because everyone has an opinion. Jonathan: There's a quote by Mark Twain where he says, "Do the thing you fear the most and the death of fear is certain." So I just grab the bull by its horns, jump into the deep end and swim with the sharks. I just go for it! My father and brothers are much like that; no fear, just go. You fake it 'til you become it. Do it until you become confident. It's the acclimation of telling yourself: Yes, I can do it. Yes, I'm talented. Yes, I have what it takes. Everyone has insecurities, but I think a lot of artists are very sensitive and insecure about what they put out there because everyone has an opinion. We're being vulnerable and sharing our craft and people can either love it or hate it. It's nerve-wracking. I think that also plays into my being a perfectionist because I always think, "This has to be great." Jonathan: I'm very open to it because that's the only way I can grow. I have to know what feels right to my spirit so I can be true to that, but I also can't be oblivious. If you keep a close circle of people around whose opinions and work you respect, and you're hearing the same thing from several people, then something needs to change. At the same time, you can also be totally convinced and think, You know what, I don't care what other people say because this feels right to my spirit and this is what it is and this is what it's gonna be, screw what anybody else says. Either you're totally delusional or you really know yourself. I really try to maintain a close circle of friends and make an attempt to not have 'yes men' around me. I think 'yes men' can be such a huge disservice to people so I like to have straight shooters around me because I'm one, too. What I've learned, and one thing I know for sure is it's not just about talent. It's really about who you know in this business and I think that's in life, too. However, once you're in the door and have the opportunity to present yourself, that talent has to be there. I always say build your relationships—and that goes beyond networking. What life lessons would you like to share? Jonathan: What I've learned, and one thing I know for sure is it's not just about talent. It's really about who you know in this business and I think that's in life, too. However, once you're in the door and have the opportunity to present yourself, that talent has to be there. I always say build your relationships—and that goes beyond networking. I mean really build your relationships with people because even for me, I wanna work with people that I enjoy being around. There are times when you say, yes this person is so talented but I can't deal with their attitude or ego. It also comes down to this: who are you? Take away all the glitz and glamour and at the end of the day, who are you and what is that? If you are 100% ok with your answer, from there you can talk to whomever you like and people will be more curious to find out about you because you're truly being you. There are times when we wear so many masks, but the more you take away those masks the more people will gravitate toward that energy. Another thing I want to say is follow up. That's the thing that really bothers me. One thing my mother taught me is all you have is your word. If you say you're gonna do something, follow through. If you can't by any means, you better find a way to make it up or find another time to make it up, but you have to be a person of your word. What do you want your eulogy virtues to be? Jonathan: Wow, how morbid (laughs). I think I'd want my eulogy virtues to be: He made a difference in people's lives. He was generous, loved talking to people, and inspired them just as he was inspired. He really loved every day of his life and lived it the best way he could doing what he loved. On learning: To this day I still consider myself a student of life because I'm always growing; the teacher has to be a student because it's always going to change. Even though I teach classes, I still take class myself because I want to keep learning. With Hip-Hop, it's ever-changing and youth driven so I have to be current and open to change and new information. I believe in that saying: Choose a job that you love and you'll never have to work a day in your life. How I know I love what I do is that if I didn't have bills to pay I would do this for free. Every aspect of it: the teaching to the performing to the choreographing, creating, everything. On doing what you love: I believe in that saying: Choose a job that you love and you'll never have to work a day in your life. How I know I love what I do is that if I didn't have bills to pay I would do this for free. Every aspect of it: the teaching to the performing to the choreographing, creating, everything. That's how I know that I need to do this because if I did anything else I think a part of me would die. I'm not saying it's not tough. Is it stressful? Yes, some days it's stressful, but I still love it. On perfectionism: Perfection is boring. Sometimes you're up and sometimes you're down. You can't learn from a mountain, you have to go to the valley and be amongst the people; be in the trenches and get in the nitty-gritty.